A little shisha is good for the soul. 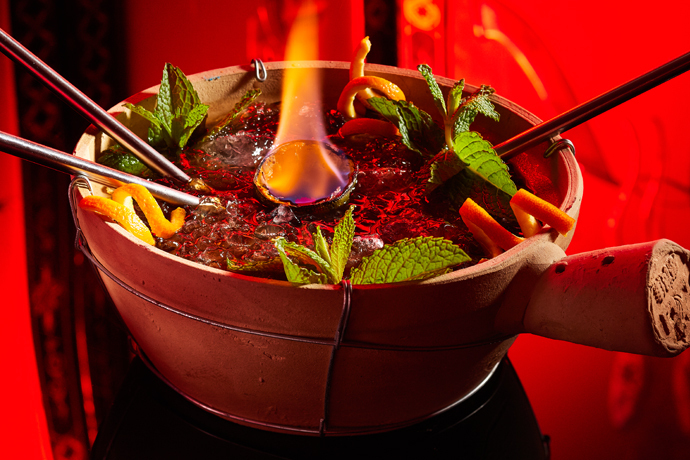 Hence New York's first haute-cuisine Hookah Tasting Menu (they had us at "hookah"). The scene of this smoky feast is Loft on the Upper West Side (yes, good restaurants do exist there), where consulting chef Angelo Sosa (Jean Georges, Spice Market, Buddakan) gets busy with a pipe and some beef (now that's a job worth talking about). Loft has a loungey Asian-Mediterranean vibe that suits the smoking—take a group to the table under the tree in the back, or head downstairs to the cushier, more private lounge. The four-course tasting menu (also available with wine pairing, for those who can't imagine smoking without drinking) starts off with a unique Tuna Mole (tuna with chilied tapioca and bittersweet chocolate) and Butter Poached Maine Lobster served in a pressurized jar. Then the hookah comes out for you to smoke throughout the remainder of the meal. Sosa's custom-made herbal shisha (what you smoke in the hookah) is non-nicotine and has a peppercorn kick, which enhances the courses without overpowering them (attempts to bring your own "custom-made herbal blends" are politely...discouraged). 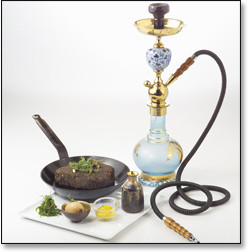 Although you might get carried away with the hookah from this point on, stay on to enjoy the 16-ounce Earth Scented Kobe Filet (sounds like a cologne, eats like a steak), served with smoked corn brulee and a Taiwanese poached egg, and then finally a chocolate dessert sampler. With a meal like this, you'll be proud to say you inhaled.